Yet another Once Upon a Time star will not return for season seven. Some deep-sea villains could play a part in Aquaman. Stephen King and J.J. Abrams’ new horror collaboration has found its star. Plus, a gross new clip from Alien: Covenant, more tiny Defenders teasers, and Shannara Chronicles has a new home. Spoilers get! Star Wars News Net has uncovered a ton of un-embeddable concept art claiming to be from the film. Sourced from a series of now-removed eBay UK listings, the art features early concept art of Alden Ehrenreich as Han Solo (unsurprisingly, he looks like Han Solo) and several new vehicles and ships. 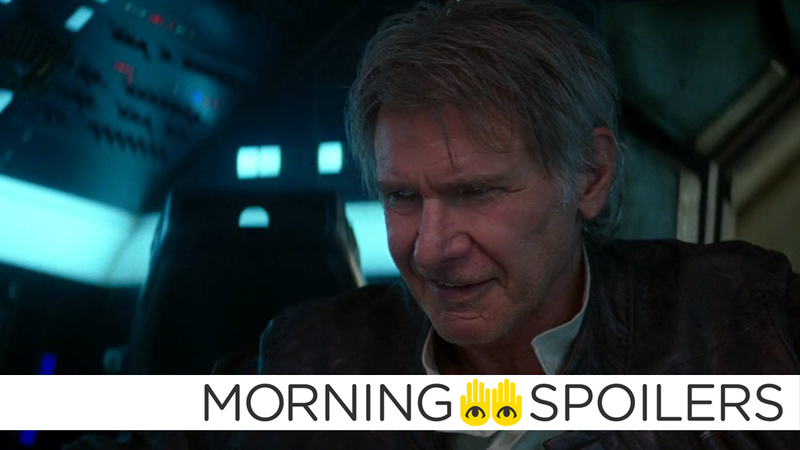 Although the veracity of the leak has yet to be fully confirmed—its swift removal from eBay might indicate that the art was real, but it could just as easily have been removed for being fake—one piece of art of a speeder is described as being used in exterior sequences for a location called “Nest,” which matches up to a recent report by Making Star Wars which claimed a location in the movie was called “Emlys Nest.” Head on over the links to see more. Producer Jason Blum told Collider the Unbreakable follow-up will enjoy a larger budget than its predecessor, Split. According to the latest episode of Superhero News, James Wan’s Aquaman will include The Trench— the angler fish-like deap-sea humanoids introduced in the character’s first New 52 arc. IGN has the latest poster, which would like to remind you that Chris Pine is also in this movie. Jude Law’s wicked King Vortigern gets his own featurette. Rebecca Mader has announced that she will also not return for the newly-confirmed seventh season—however, unlike Jennifer Morrison’s departure, Mader describes her exit as a “creative decision” by the show rather than a personal one. Luke Cage is going down, [we’re in] season two. We’re pretty excited, it’ll be nice to get back into the swing. Finally, Jessica Jones stops by Pop’s Barber Shop, while Luke Cage crashes Daredevil’s favorite bar in the latest set of motion posters.